From upgrading the Princes Highway in Bega, to Bangalow Road in Ballina, country roads across the state will benefit from 97 road safety projects delivered as part of the Saving Lives on Country Roads Program. 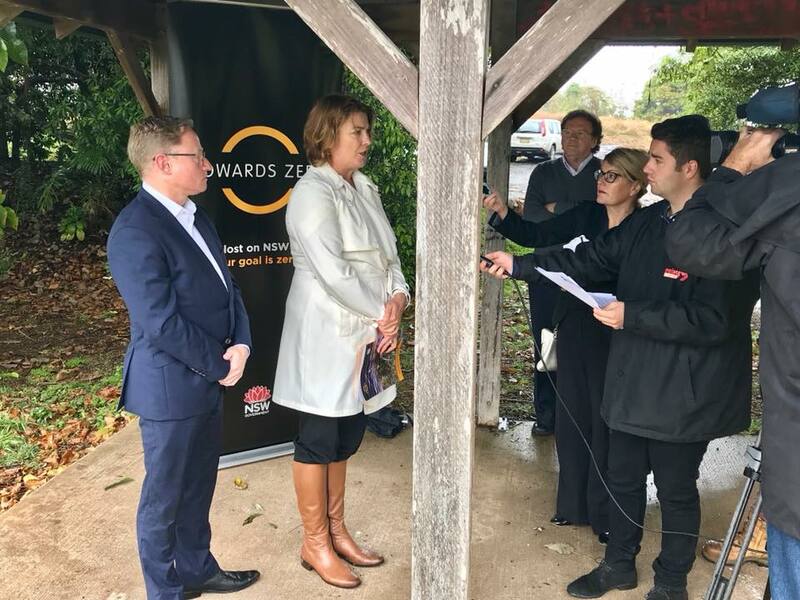 In Ballina today, Minister for Roads, Maritime and Freight Melinda Pavey said the Saving Lives on Country Roads Program aims to reduce the number of people killed and seriously injured on our roads. “Tragically, you are four times more likely to die on a country road than in a metropolitan area. It’s simply unacceptable,” Mrs Pavey said. Country people represent a third of the population but nearly 70% of the road toll. “Under the Saving Lives on Country Roads Program, work will involve the roll out of life-saving flexible barriers, wide centre lines, rumble strips and other safety devices to help prevent run-off-road and head-on crashes on country roads,” Mrs Pavey said. Parliamentary Secretary for the North Coast Ben Franklin said the safety improvements at Clunes will provide wider sealed shoulders and wire rope barriers on the outside of a series of high risk curves to reduce the likelihood and severity of run off road crashes. “The $1.2 million project will be delivered over two years, with completion expected by the end of June 2020,” Mr Franklin said. A second round of infrastructure upgrades will take place next financial year. In addition, the Saving Lives on Country Roads advertising campaign continues to encourage drivers to think twice about their behaviour on the road.